This recipe is something of an experiment. I’ve made Sloe gin before and i’ve tasted damson Whiskey which was very delicious. However this flavour combination, in this application, is a venture into the unknown………………. Now is a great time to be making flavoured alcohol, Autumn fruits are ready to be harvested and preserved so the flavours will have a few months to infuse, ready just in time for Christmas. 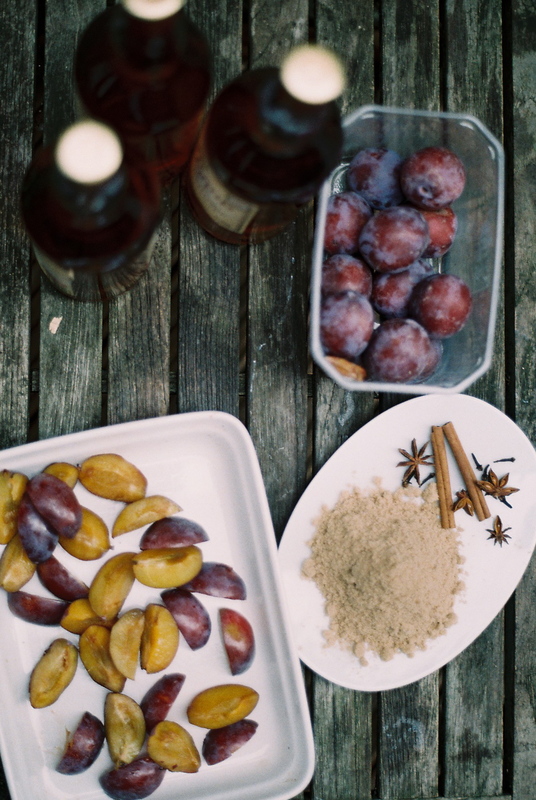 This Spiced Plum Whisky is to be added to my Christmas gift hampers, so fingers crossed it works! 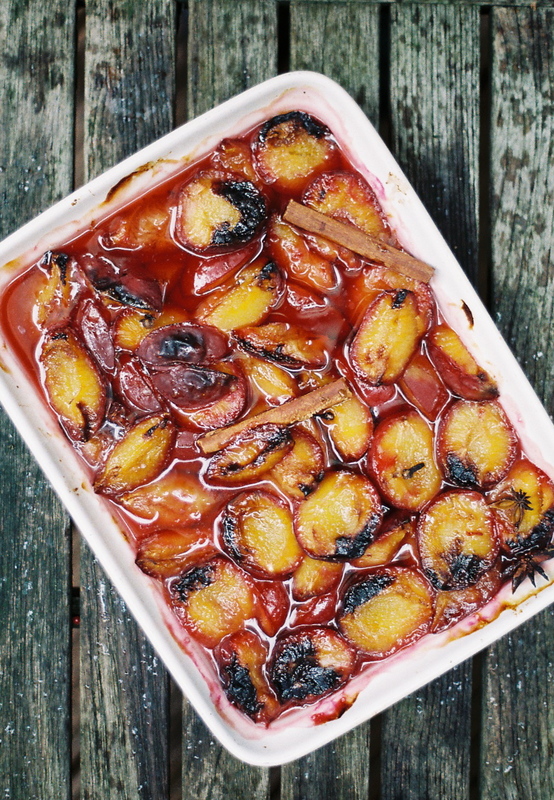 I quartered the plums into an ovenproof dish then added the brown sugar, spices and vanilla extract. I then roasted them for 25 minutes at 160 degrees c until the plums turned a golden amber colour and started to release their juices, then I let the plums cool completely. 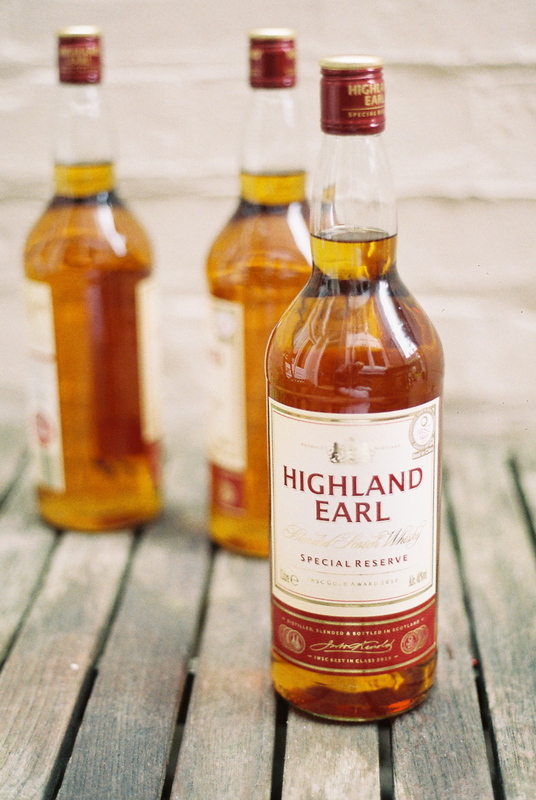 Next I transferred them, along with the Whisky into a large Tupperware container with a tight fitting lid. I’m storing the whisky in a cool dark place, in a few weeks time I’ll be tasting the Whisky to make sure the flavours are coming along nicely and will tweak if necessary, i’m not a big Whisky fan but I love all the other flavours and am hoping for some tasty results! Do you have any alcohol infusing tips or flavour pairing suggestions?